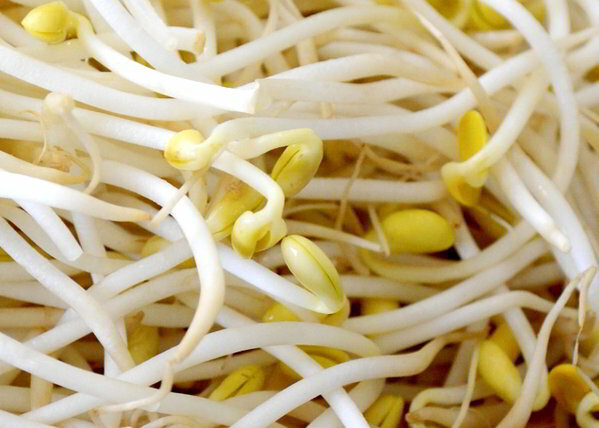 Sprouted Mongo (Toge) or mung bean sprout can be made from both mongo seeds or soybeans. Sprouted mongo or mung bean sprout can be mix with other vegetables to make a lumpia or in any stir fry dishes or can be used as garnish. Here’s the procedure on how you can sprout a mongo beans. 2. Spread a piece of white cloth over a “bilao” or tray and put the beans on it. 3. Cover with another cloth; sprinkle water over it every now and then. 4. Keep in cool dark place. This will sprout in 3 days.